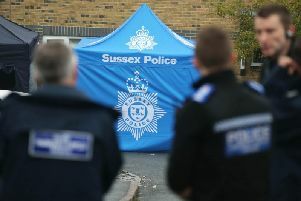 Schools in Sussex have been warned of an increase in fraud reports where a criminal has pretended to be a head teacher. The National Fraud Intelligence Bureau (NFIB) said several schools across the country had suffered ‘substantial financial losses’ because of CEO fraud. It is when a school is targeted by a fraudster who is pretending to be the head teacher or principal, and contacts a member of staff with responsibilty for authorising financial transfers. They then request for a one-off urgent bank transfer to be made, typically between £8,000 and £10,000. Contact is often made through email and from a similar email address to the one the head teacher would use. The NFIB has warned school staff to make contact with their colleague directly if approached, and challenge requests thing think are suspicious. They should also be careful about what information they post about themselves online because those details could be used to make the fraud seem more convincing.